Mount (Mt) Aspiring (3033m) from SE. Bonar Glacier middle, Kitchener Glacier Below. 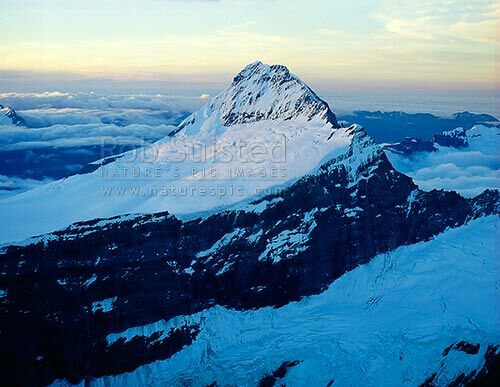 Pope's Nose (2691m) midright, Mount Aspiring National Park, Queenstown Lakes District, Otago Region, New Zealand (NZ), stock photo.